Leadership also needs to align itself to the ways of the information economy. 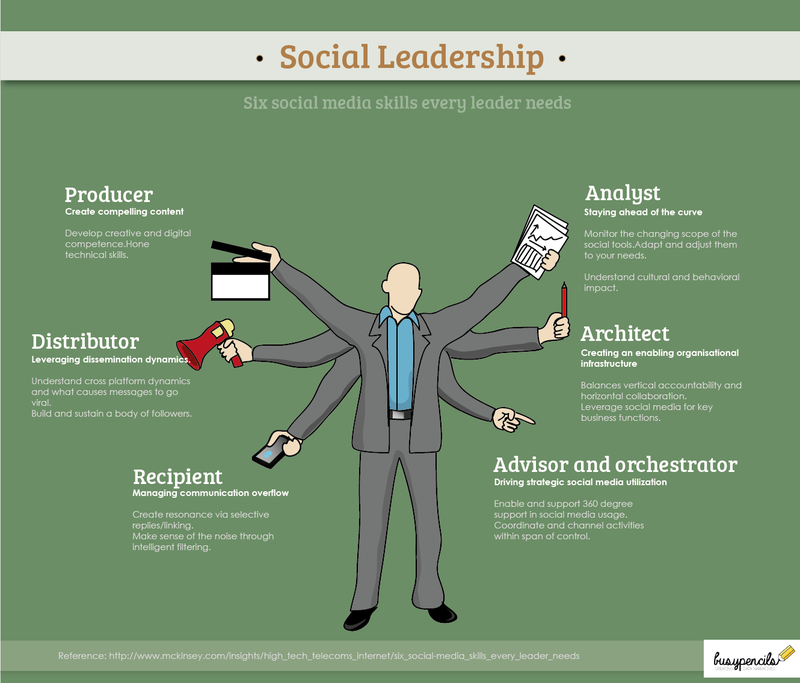 Mckinsey define the six traits of a social media literate leader in the above stated article. Through this infographic, we succinctly present the insights from the management consultants and create a visual which helps executives to deal with these new realities.